It is not the first time that it is suggested in any way that the new God of War for PlayStation 4 may reach stores in 2017. Sony has revealed the game in E3 2016 but so far has not yet committed to a specific release date. At the time God of War (PS4) does not have a release date, but based on what has transpired today, it seems that there would be a possibility that the new game from Santa Monica Studio will be launched in the course of 2017. 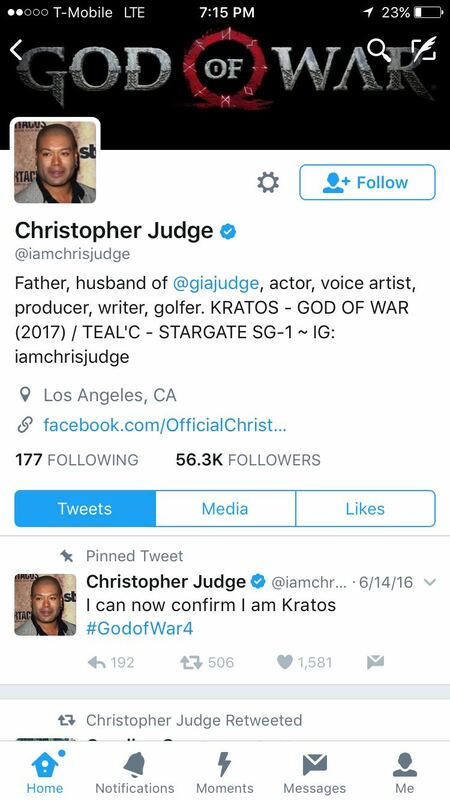 Now rumors and speculation have returned because Christopher Judge, who lends his voice to the iconic Kratos, has listed the new God of War as a 2017 game. Some believe Judge refers to the year he worked in the game and that this did not mean that the game will come even this year, but that does not stop the internet from diving into the rumors and enthusing many players with the possibility. This new God of War will be focused on Norse mythology and Kratos will face all manners of new dangers alongside his son, Atreus. It’s one of the most anticipated upcoming games for PlayStation 4, whether or not it’s released in 2017. Did you know that God of War PS4 is classified in Europe as +18. What do you think about this rumor? According to you what is it referring to the 2017? Let us know in the comment section below.